White House senior adviser Jared Kushner. 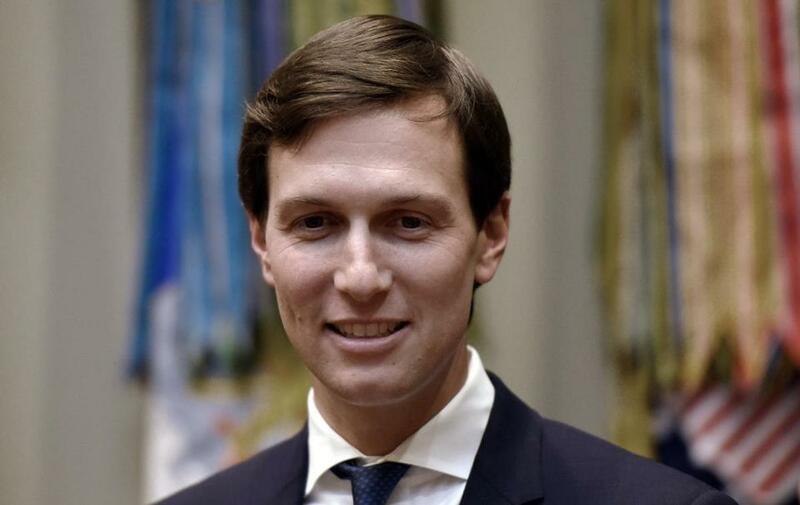 WASHINGTON — Homeland Security Secretary John Kelly indicated that President Donald Trump’s son-in-law and top adviser Jared Kushner and his communications with Russia are part of a wide-ranging probe by the Justice Department’s special counsel. Kelly said back-channel talks have been common in U.S. diplomacy, but indicated that the matter is under investigation by Special Counsel Robert Mueller as part of his probe into contacts between the Trump campaign and Russia. Kelly made the comments the same day that former National Security Adviser Michael Flynn turned over about 600 pages of documents to the Senate intelligence committee. The panel is conducting its own investigation into Russia’s meddling in the 2016 presidential election. A congressional aide said the Senate intelligence committee’s investigators received the documents Tuesday afternoon and immediately began reviewing the information. The aide spoke on condition of anonymity to discuss the committee’s sensitive work. Flynn had previously invoked his Fifth Amendment protection from self-incrimination in rebuffing an earlier subpoena from the committee. After the panel narrowed the scope of that subpoena and issued additional ones for records from two of his businesses, Flynn agreed to turn over some documents. In addition to the Senate panel, Flynn is also under investigation by other congressional committees as well the special counsel over his contacts with Russia. Among those contacts under scrutiny is a December meeting that Flynn participated in with Kushner and Sergey Kislyak, Russia’s ambassador to the U.S.
Also Tuesday, a senior Democrat on the House Judiciary Committee wrote Deputy Attorney General Rod Rosenstein to clarify the scope and authority of Mueller’s role and asked Rosenstein to ensure that the probe is free of political interference. ‘‘It is of paramount importance that Mr. Mueller’s investigation proceed unimpeded by any officials who may have a conflict of interest or other ethical bar, or by political interference of any kind,’’ wrote Rep. Jerrold Nadler, D-N.Y.